Amish hasn't added any details yet. 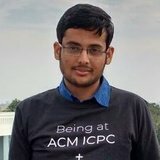 Join HackerEarth and view Amish Gupta's full profile. It's absolutely free!